I am looking for some fast and robust open source interpolation library/script/tool. The goal is to re-interpolate relatively big (1M+ points) unstructured (xyz) grids into high resolution cartesian grids (tif files or other format I can process with GDAL) to produce nice smooth contours. So far the only usable way I found is to use triangulation in saga_cmd but the more points I have the longer it takes and from some higher number it is not finished even after hours while if I do the same in other GIS software through GUI it takes only seconds to maximum few minutes. I wanted to use GDAL but though nearest is fast, it doesn't get me detail I need and other methods took ages even for lower numbers of points... I am not sure if/how could I use GRASS. One of my requirements is that the solution must be portable (so far I used portable python, gdal and saga). python NUMPY and Skipy as mentioned in this thread: Smoothing/interpolating raster in Python using GDAL? Both I am not sure about the speed and will be glad for any experience or better sugestions. Thanks. This has been translated to a python library according to http://dzhelil.info/triangle/index.html# which includes documentation, download https://pypi.python.org/pypi/triangle/2013.04.05 - note, these links may become dead as the version changes. I found them with google in under 10 minutes. 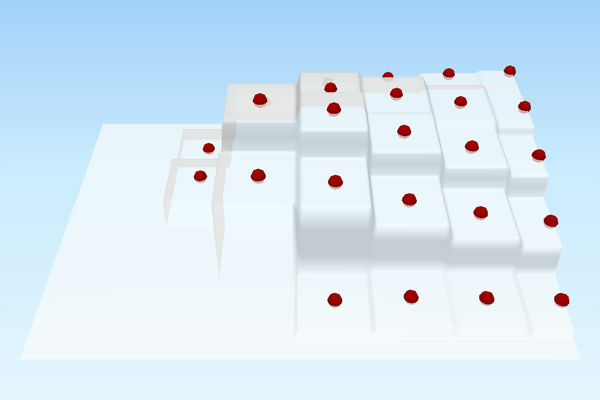 In saga, make sure you read your data as a pointcloud "Import Point Cloud from Text File" and process it as a pointcloud: Point Cloud to Grid. This should be much faster than using shape. Last step may be close gaps to fill any non data values. I would not recommend using triangulation if you just want a grid. the algorithm takes long and is not better than others. ASU / GEON Points2Grid Utility, a Windows-only tool, and I think the first one to implement the algorithm. It hasn't been updated since 2007. 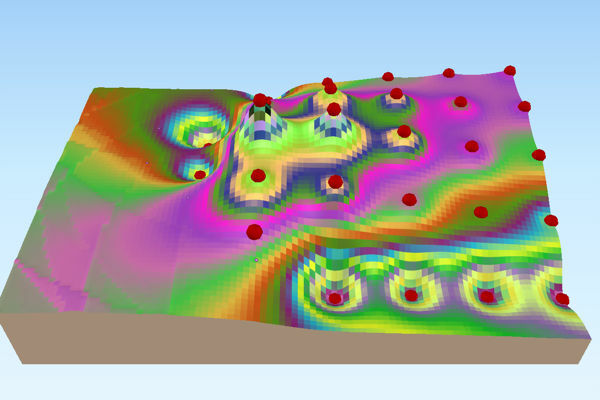 NSF OpenTopography's points2grid, with a related blog post that references the GEON tool. CRREL's points2grid, which can be linked to PDAL. 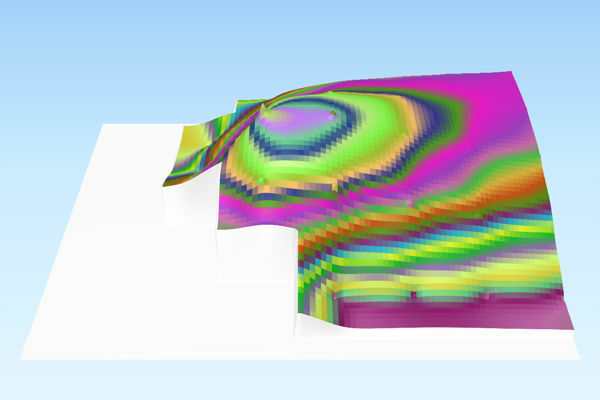 This is the current version of the tool, and is a fork of the OpenTopography tool. To use it requires know-how of compiling with CMake, or install with OSGeoW4. Finally, to create contours, try using gdal_contour with the interpolated raster. Not the answer you're looking for? Browse other questions tagged gdal interpolation saga portable-gis or ask your own question. 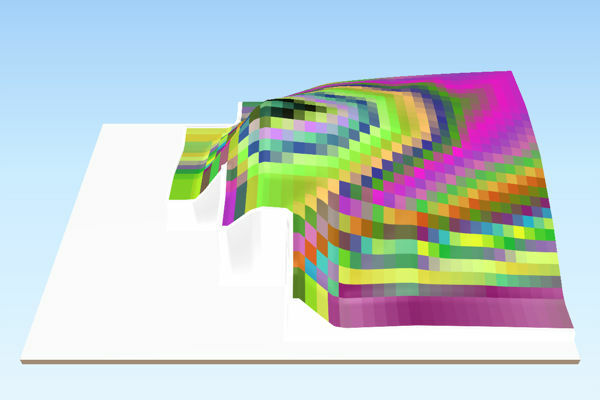 Which interpolation method is used in the close gaps module of Saga GIS?